JinMao tower and Shanghai Financial Center (people call it “the bottle opener”) as seen at night during the climb. Looking down at the clouds. Photographing from a precarious position. 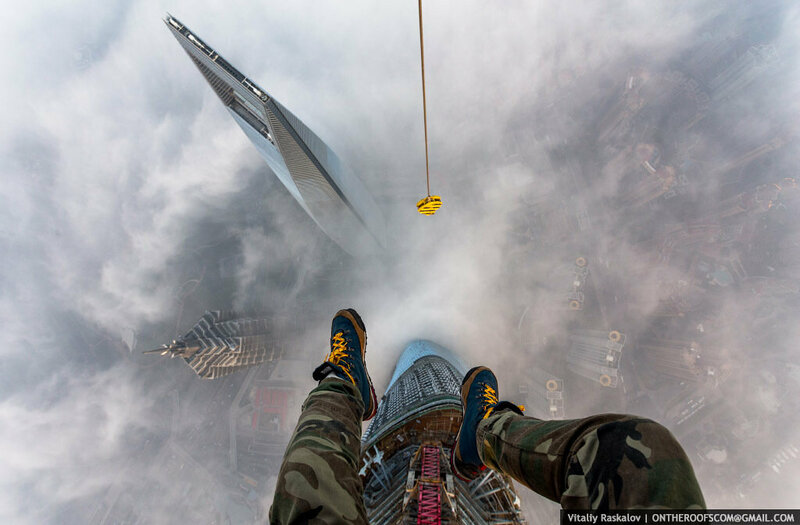 Vadim Makhorov climbs the second tallest building in the world. 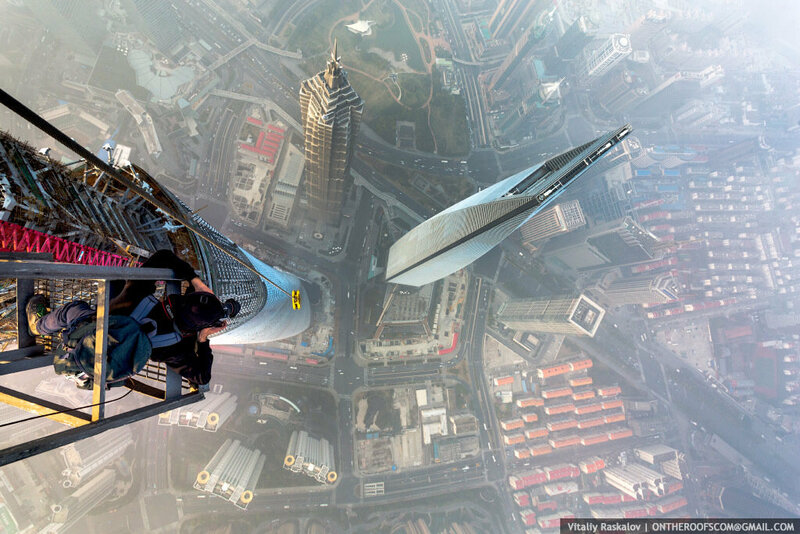 In addition to the stunning photographs, the pair was able to capture the ascent on video by mounting a GoPro atop their heads with a strap and clip system. 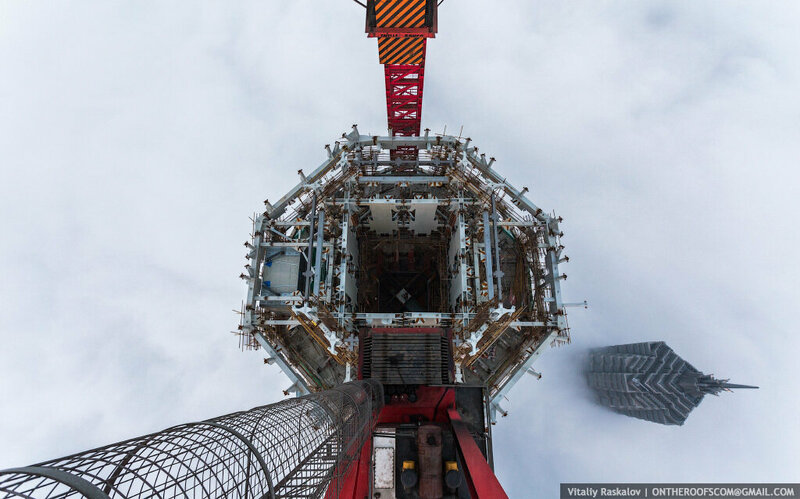 The surreal view from the very top of the crane on top of the tower. The view from 600 meters above ground. Facing scrutiny for their embarrassing lack of security, the building owners, as well as Chinese law enforcement, are currently looking into the matter, though at the time of writing it is unclear whether trespassing charges will be filed. If the two Russians do face criminal charges they could be looking at hefty fines, jail time, and possible revocation of their passports. The building owners have publicly expressed regret in regards to the matter and have warned the public that security around the construction site will be heightened. For reference, this is where they were, as seen from the famous “Bund” walkway across the river. 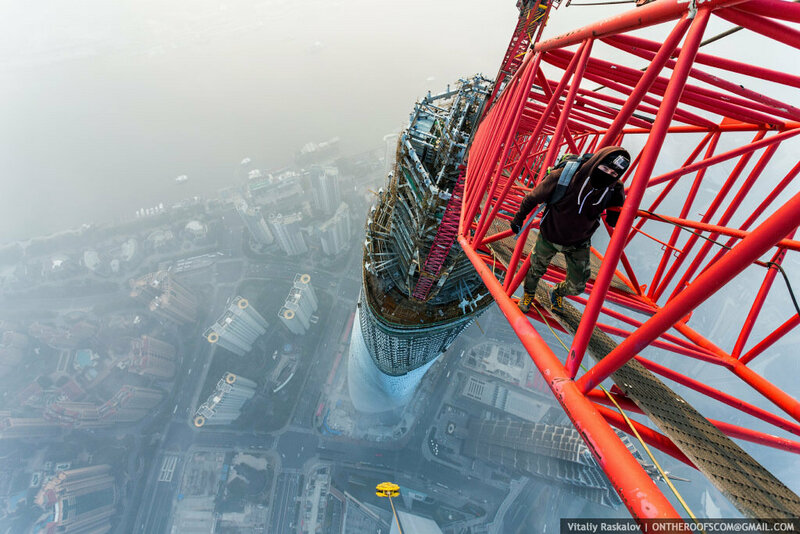 I would cry then pass out of I was that high up! Their photos definitely are amazing though! Love it, but can anyone tell me what the music track is that plays throughout the video? Great photos but they should be prosecuted for unlawful trespassing. If they aren’t, people will think it is okay to break the law as long as they get good photos out of it. You guys are awesome! Having done a tiny bit a Yosemite rock climbing with ropes years ago, you guys are awesome!! I’m thoroughly in admiration. You’ve inspired me to get photos from the second tallest building in my city of Santa Rosa, California. Let’s see…that would be about…seven stories?? Very inspiring footage. It just proves again, that if you want it you MUST, GO, GET, IT!!! There are so many safety issues in violation for these men. 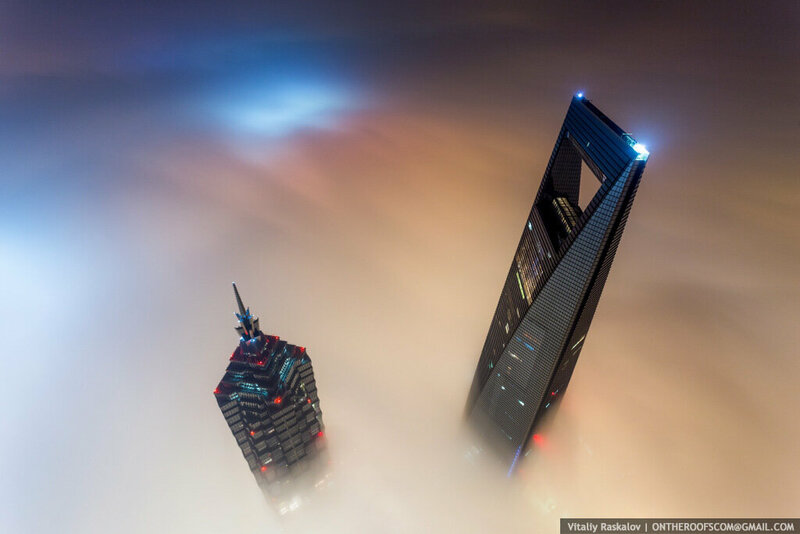 When I spoke to the designer of Shanghai Tower and Chief Architect, Marshall Strabala, from 2Define Architecture, he wondered if the men walked up 120 flights of stairs IN THE DARK, as hoist elevator is supervised for use.